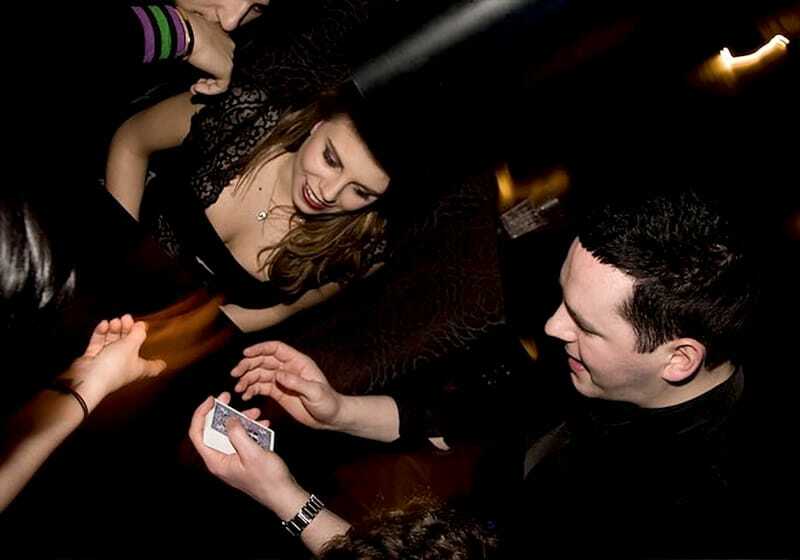 Welcome to the official website of professional close-up magician Billy Reid. 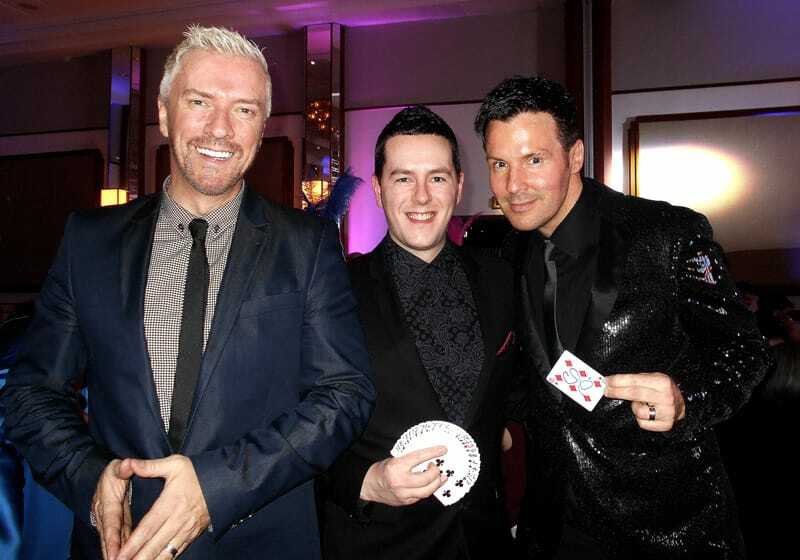 The only magician in Scotland to reach the finals of The Magic Circle “Close-up Magician of the Year” competition on three separate occasions, Billy offers spellbinding entertainment perfect for weddings, corporate events, private parties, tradeshows, product launches, receptions and charity events throughout Glasgow, Edinburgh, Scotland and the rest of the UK. and events across the country with his modern wizardry. Stood in a magic shop as an impressionable 10 year old boy, Billy was captivated by a simple magic trick. 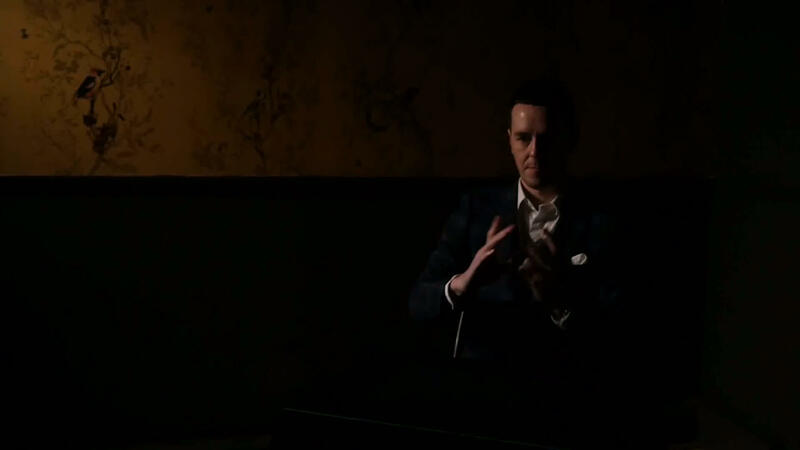 Today, his mission is simple: to bring his audiences the sense of wonder and intrigue he experienced that day… A 20-year journey from impressionable young lad to fully-fledged sleight of hand Jedi master has seen him schooled by dozens of master magicians, study hundreds of specialist texts, and spend thousands of hours in painstaking practice. 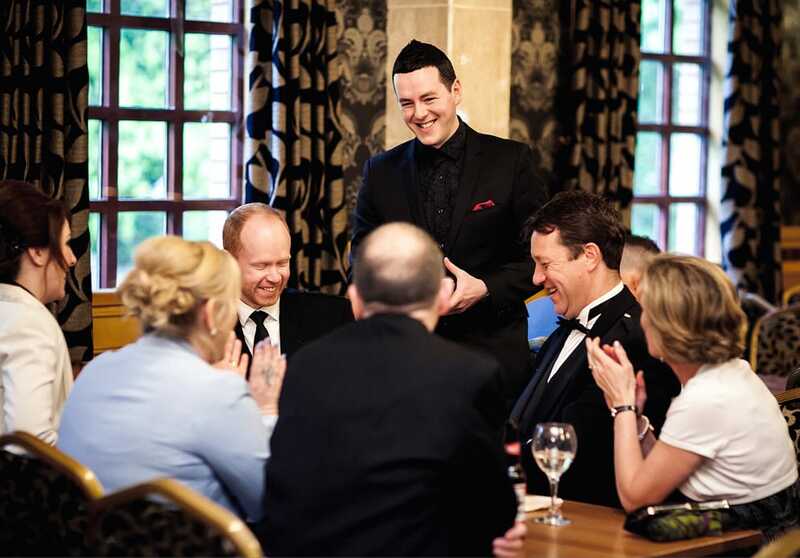 Now a member of the world famous Magic Circle his stunning brand of entertainment - delivered with charm, personality and a rapier sharp wit - makes any event a truly memorable one. 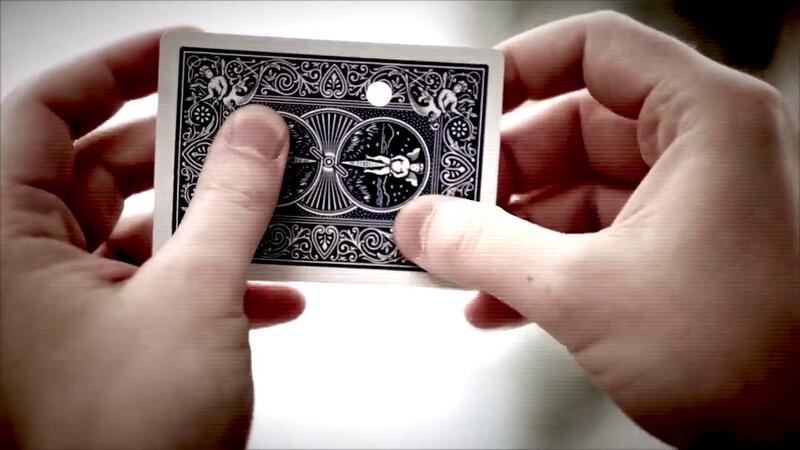 Ultimately, Billy offers an unforgettable magic experience - a spellbinding assault on your senses where cards appear and disappear; coins transpose to impossible locations, objects levitate and minds are read… You've never seen anything like it, and it's all for your entertainment and wonderment! but also someone that understands people. 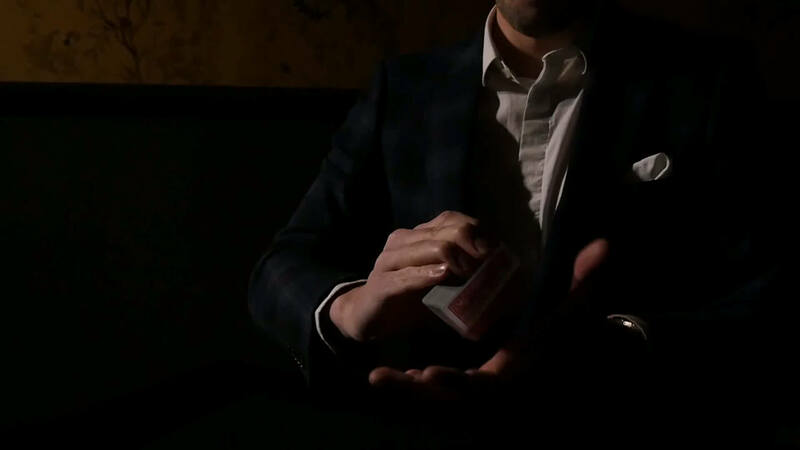 by his award-winning sleight of hand skills! 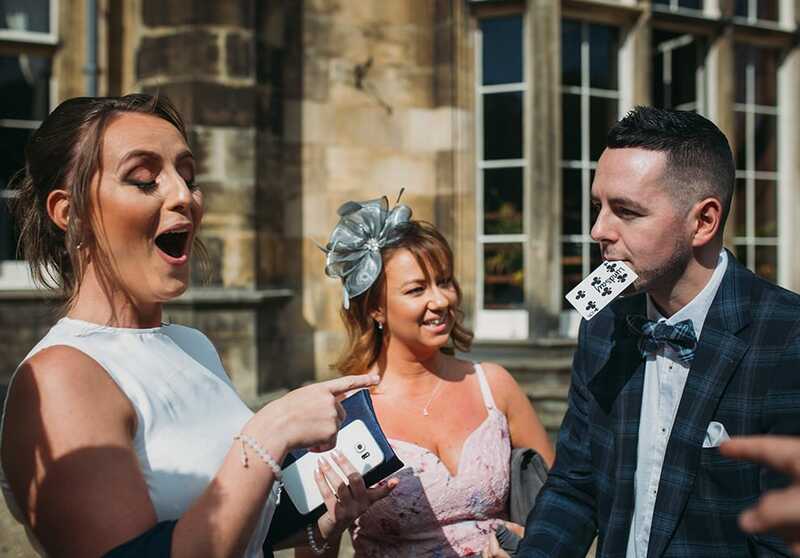 is modern, fun and extremely versatile allowing him to take the show to your guests whether you're looking for entertainment at a wedding or a corporate event for 500 people. last card has been picked! generates from people of all ages. everyone from Manchester United to Coca Cola. …and he performs with his sleeves rolled up! 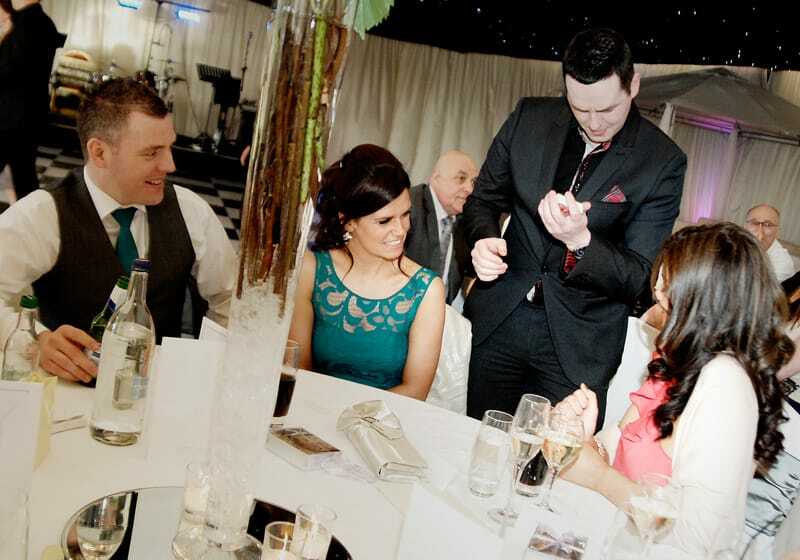 Give your guests the red carpet treatment - have Billy welcome them and break the ice with some stunning quick-fire close-up magic. 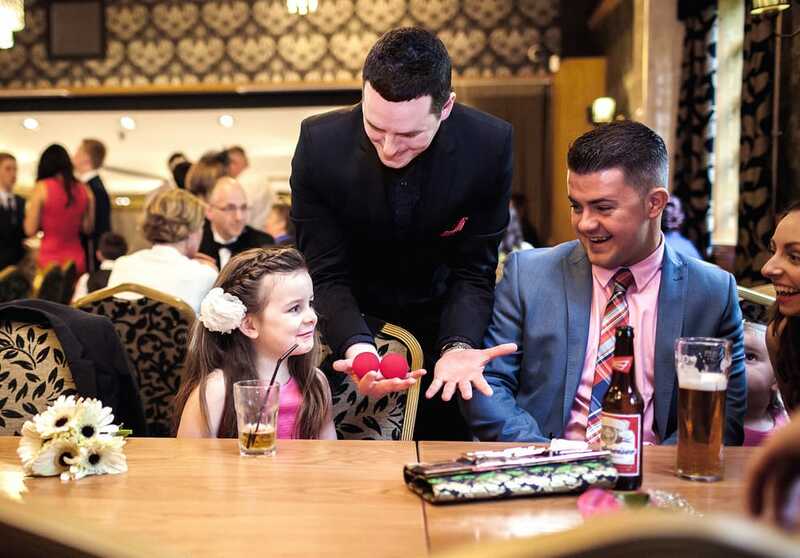 Billy can help you set the tone for a truly memorable evening. 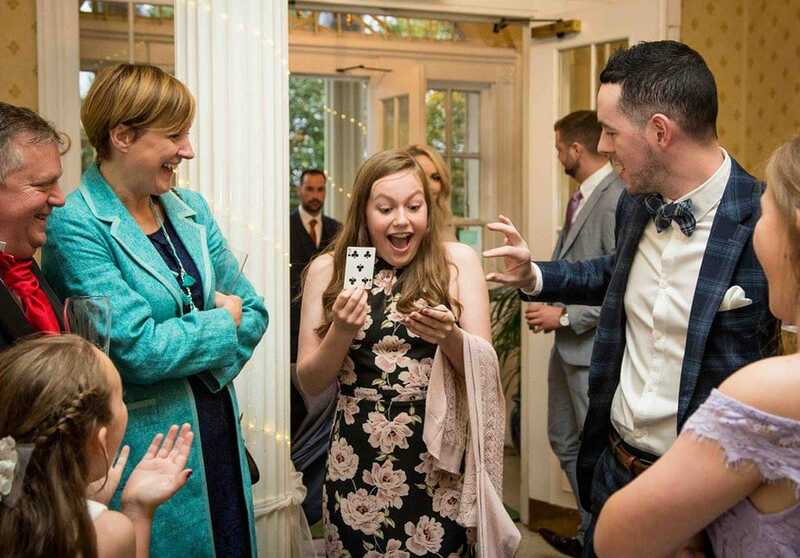 And between courses he'll keep the entertainment spectacular and the energy levels high with his unique brand of table top magic. guests have time on their hands. kick-start a day of fun and celebration. music and dancing takes over. 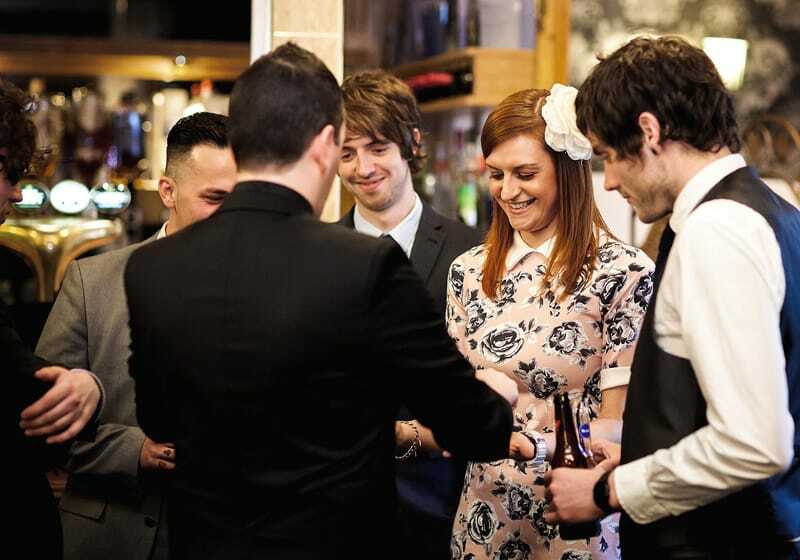 You're stood with your partner enjoying your drink and canapé. the wedding and it's still nearly two hours until dinner. Although you'll never admit it, you're a little bored. coming to rest on your outstretched palm. 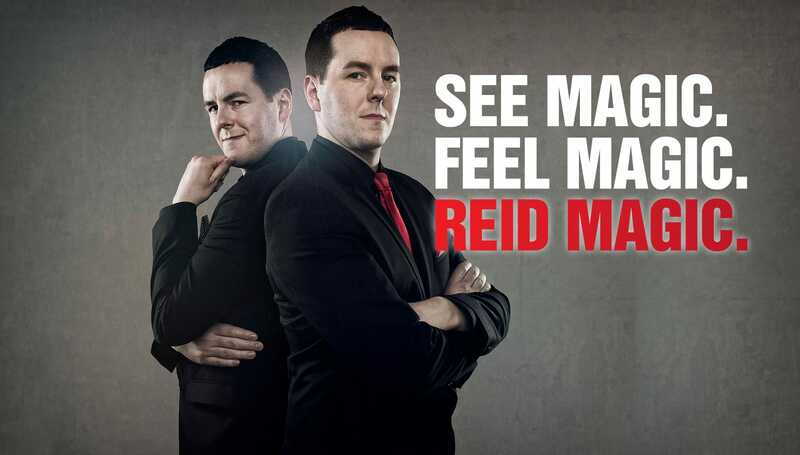 by Billy Reid’s critically acclaimed SELL-OUT shows. 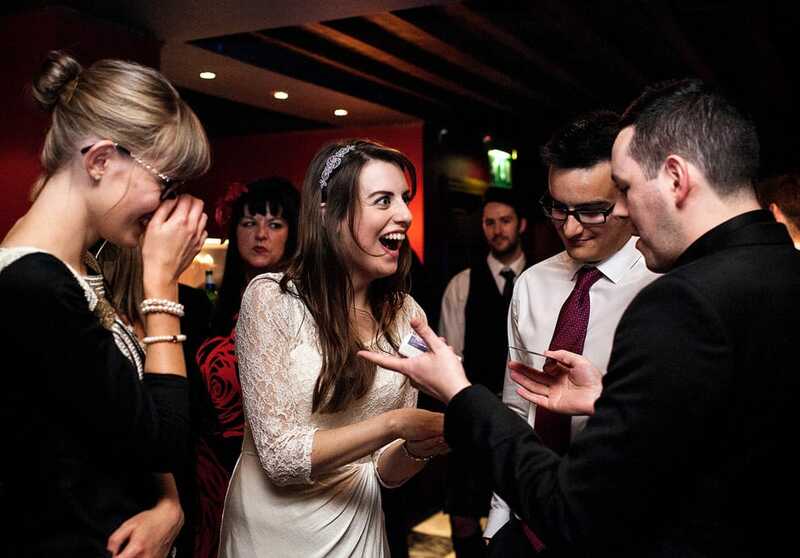 performance with plenty of audience interaction, laughter and gasps! an innovative fusion of magic, music and art - will delight and astound! 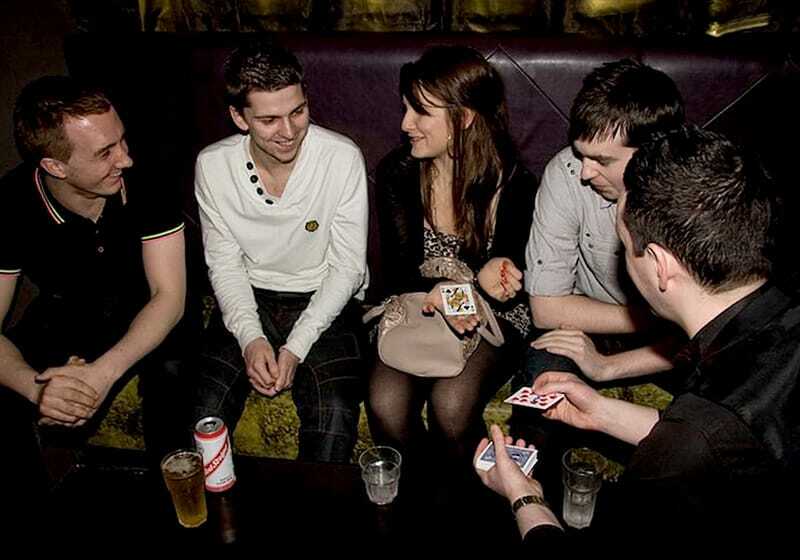 show at The Bungo, please click here! tour dates, please click here! “You just blew my mind! Meanwhile, on a serious note, Billy's passionate about making a difference and using his skills to benefit charities and other worthwhile causes. 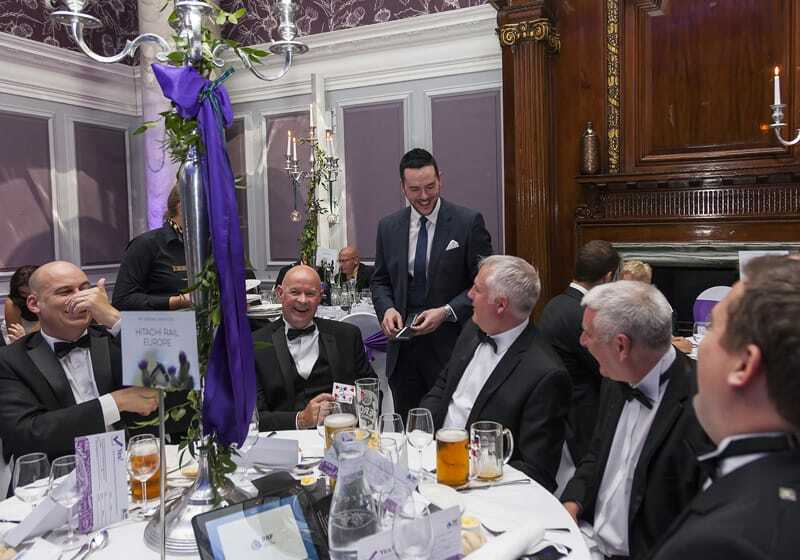 He has helped to raise thousands of pounds for charities such as the Muscular Dystrophy Campaign, Marie Curie Cancer Care, Yorkhill Children's Hospital and the Catherine McEwan Foundation. 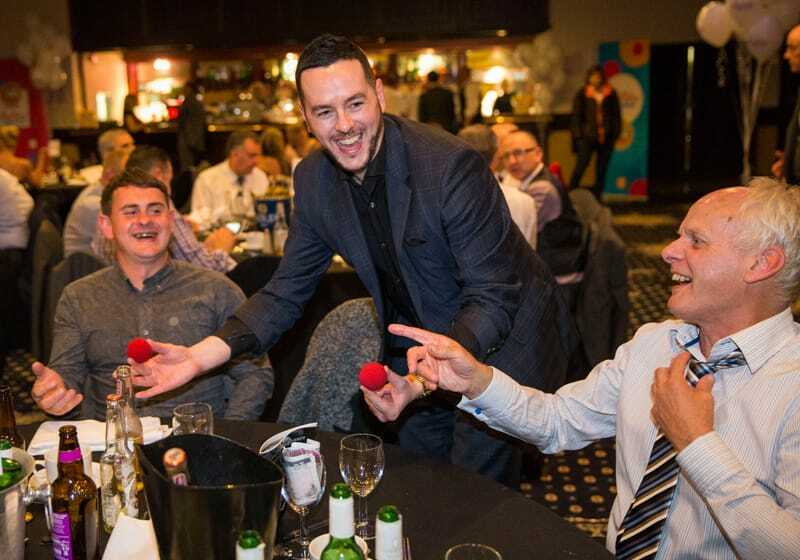 Please use the contact section to see how Billy can make a difference to your fundraising event. Please use this section to contact Billy who will endeavour to respond to any enquiries within 24 hours. © COPYRIGHT 2019 BILLY REID.